Here in the heartland of English Marianism, where there are shrines belonging to the Catholics, the Anglicans and the Orthodox, it is easy to forget that the main Christian tradition in 18th and 19th century rural Norfolk was none of these. At the time of the census of religious observance in 1851, the majority of Norfolk's churchgoers were Methodists. Today, this movement is a quiet one, but in the late 18th century it was at the cutting edge of religious debate and enquiry. Its leader, of course, was the great John Wesley, and he visited Walsingham on the 30th October 1781. 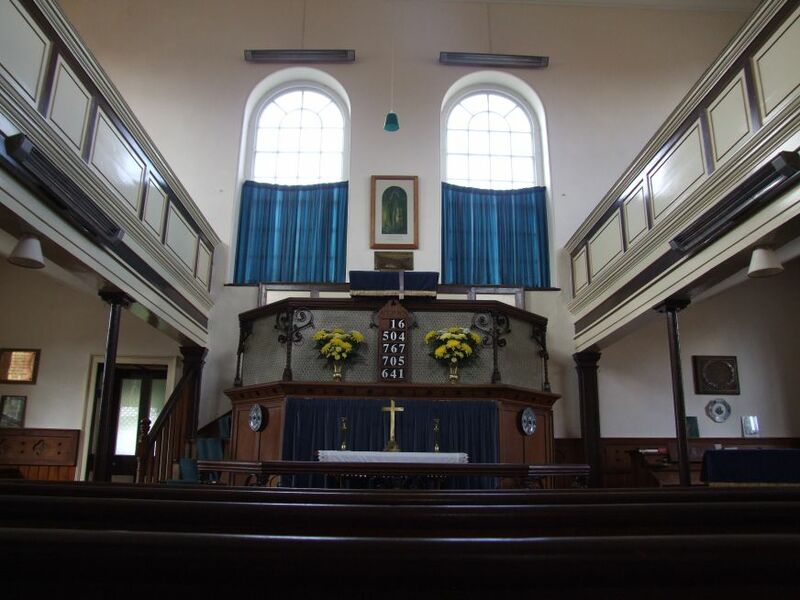 A Methodist society had been formed in the village in 1779, and Wesley's visit must have seemed a rich reward for their energy and enthusiasm. He is said to have preached at 2pm in the Common Place to a crowd of several thousand, and was afterwards shown around the ruins of the Priory and the Franciscan Friary. A small chapel was built in the village, but in 1791 the current structure was erected. 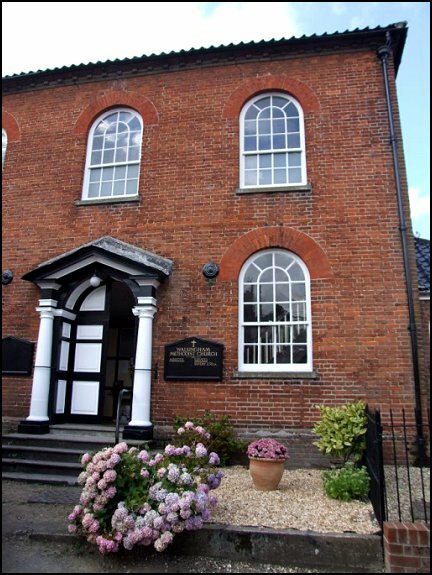 It is the oldest Methodist chapel in East Anglia still in use for its original purpose. The design is typical of the period, a large square red-brick box, with an entrance porch and a pretty gallery running around three sides of the interior. The organ is perched above the entrance, and the seats face a grand podium, with the table below it. The organ is said to have come from a Primitive Methodist chapel in the town. While much of the interior is 19th century in character, including all the furnishings, the gallery itself is the original one from the 1790s, and if you climb up into it you will find that the seating in the gallery is all original too. What a busy and exciting place this must have been then! The Methodist Societies thought that they would transform the face of the Church of England - they never intended themselves as separatists. And in a way, of course, they did, because the evangelical energy they generated would awaken the moribund State Church, if only in reaction. The success of their intelligent non-conformism would open the establishment doors to others, particularly the revived Catholic Church, returning to these shores after three centuries of prohibition. This in turn would lead to rumblings from Oxford, and the rediscovery of the Church of England's sacramental origins; an enthusiasm which would transform Walsingham into the kind of place it is today.